Aloha! 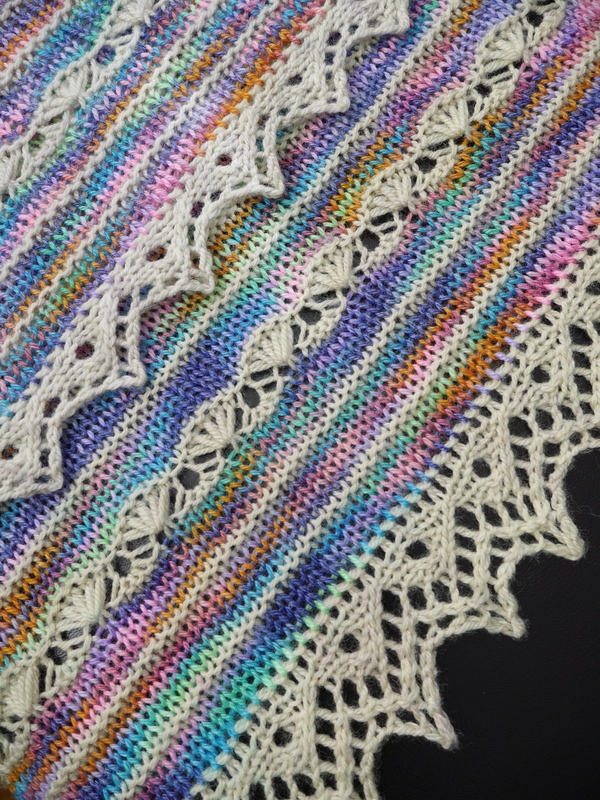 Sharon Spence (Stitchjones) and I are planning a KAL for Aloha; would you like to knit along with us? Easy breezy knitting, and I think we’ll have some prizes, too. I’ll set the KAL up in my Ravelry group; conversation is easier there than on the blog. Those of you who participated in my Rose City Yarn Crawl KAL know that I love a good KAL! If you’re not a member of Ravelry, you should join. It’s a free membership, and there are lots of wonderful resources there. 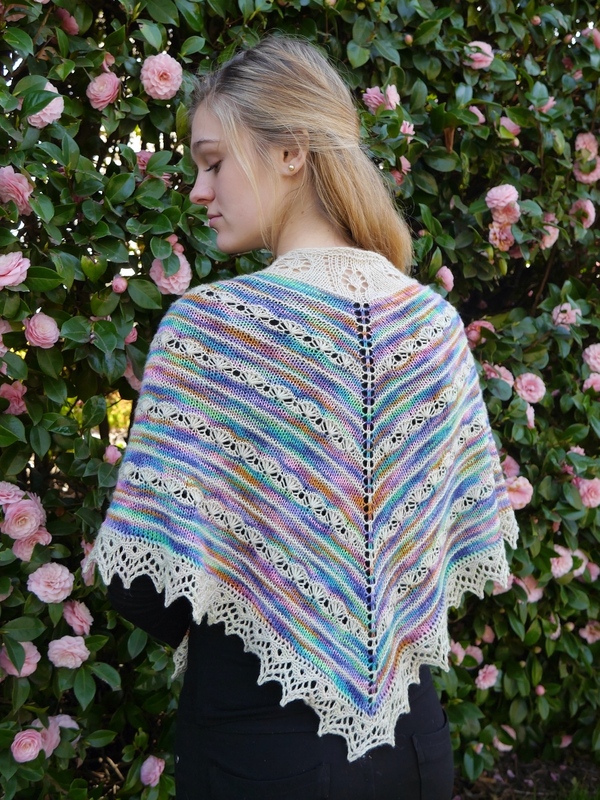 Sharon Spence (Stitchjones) is taking orders for yarn for this KAL; orders are due by next Thursday, April 10 so you can have yarn in hand for the cast on Monday, April 21. You are also welcome to use your own yarn. But hey, it’s Rainbow Shave Ice! 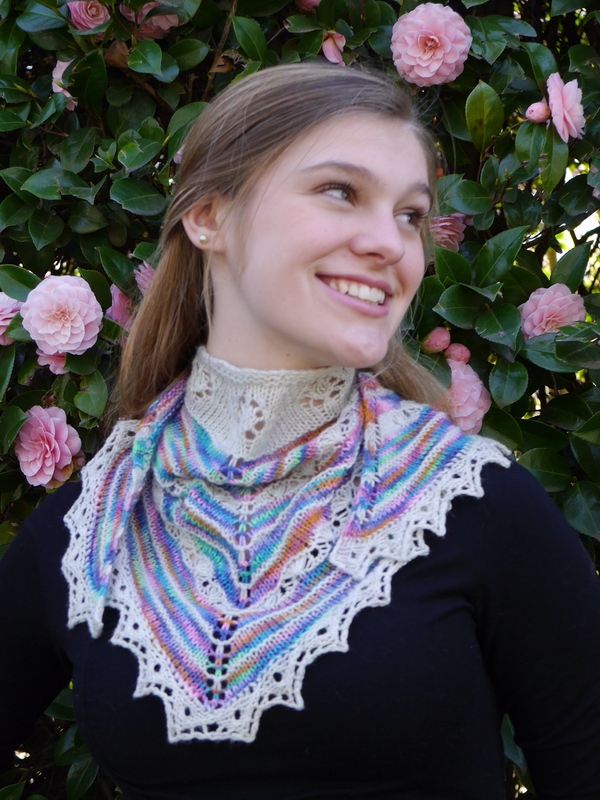 I’m extending the $2 off sale on the pattern through April 10, to coordinate with the yarn order deadline for Stitchjones. Use the coupon code ALOHA at checkout for the discount. Most of the knitting for this is very relaxed, and relaxing! Stockinette and garter stitch and the spirit of aloha. You could even knit it at a knit night. The pattern progresses at a nice pace, and the lacy parts come at just the right time to pique your interest. Is a knit-on border new to you? It was new to me, and it was fun! I like learning a new skill through a project, and this one was easier than I thought. Why did I wait so long? Are you in? Please say yes! Get your supplies ready, and we’ll cast on April 21! 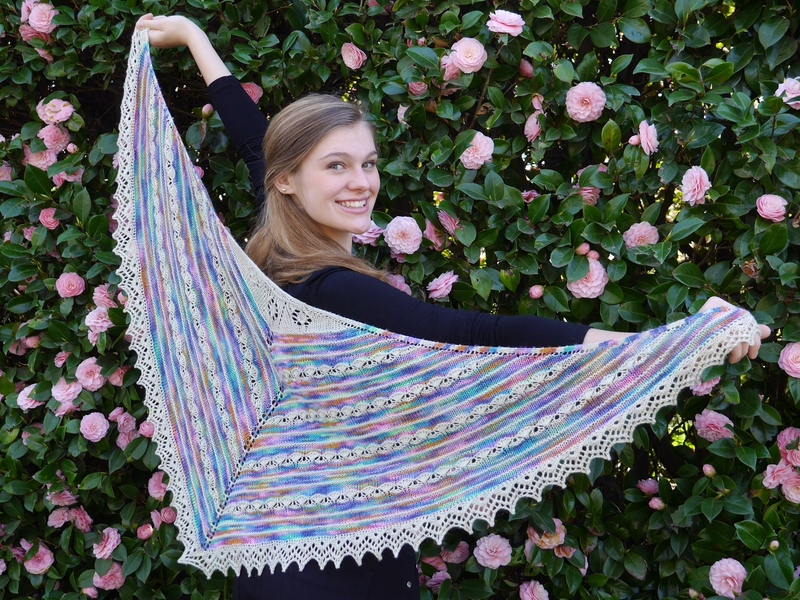 This entry was posted in KAL, Knit, yarn and tagged Aloha KAL, rainbow shave ice, Stitchjones. Bookmark the permalink.